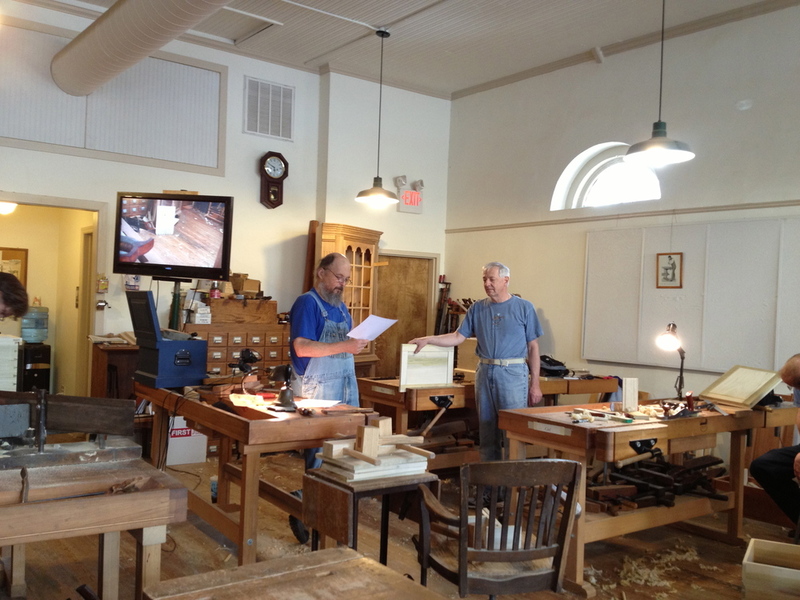 I just returned from my five day class at the Woodwright's School in Pittsboro NC. 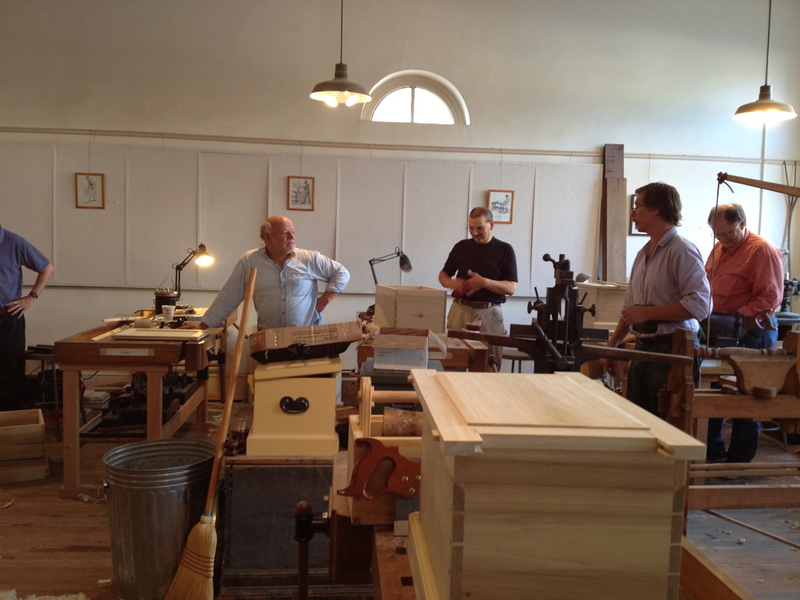 The class, Benchwork Week, taught by Roy Underhill and Bill Anderson. It's almost impossible to say enough good things about it. 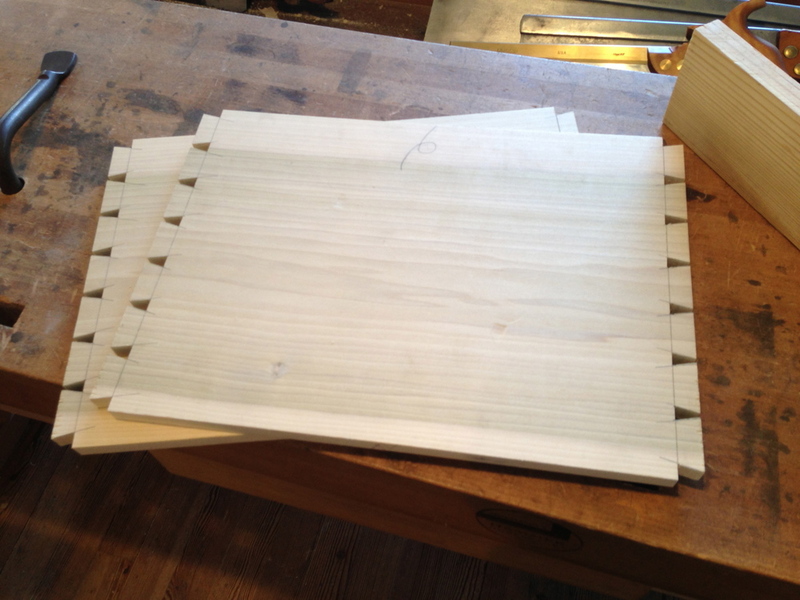 It was five days of absolute fun, woodworking immersion, and deep learning. Challenging, informative, and a great experience. Easily worth the tuition, time, travel and lodging. If you're a beginner, intermediate, or pro, you'll get great value and a great experience out of this class. With teacher Bill Anderson, the "left brain" of the pair. 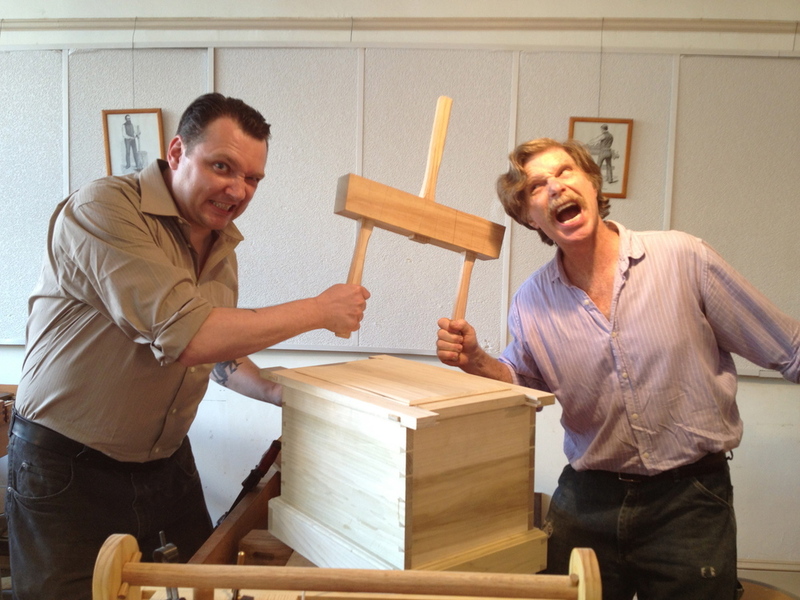 Both Bill and Roy bring master level experience and knowledge to the class, and really helped me zero in on my techniques and processes. 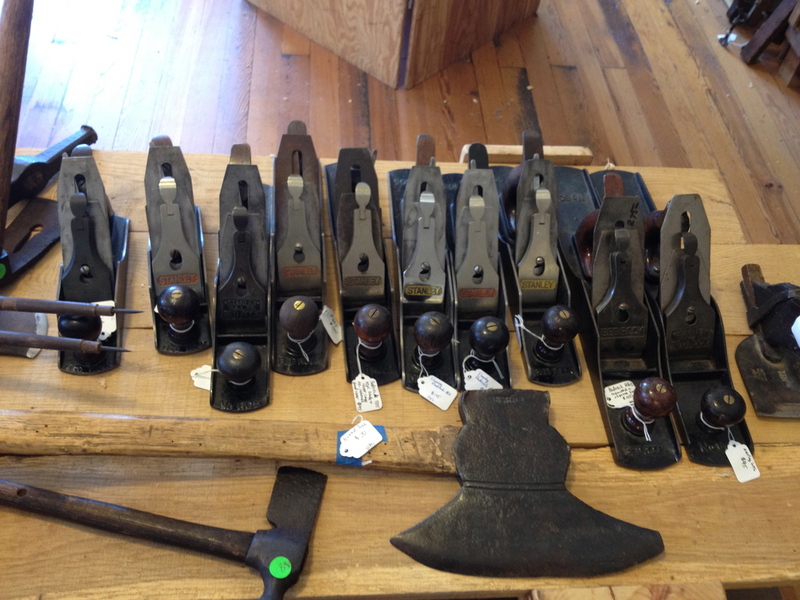 With ten students and two teachers (with occasional help from Ed Lebetkin, who runs the tool store upstairs), the attention they were able to pay to each student was considerable. 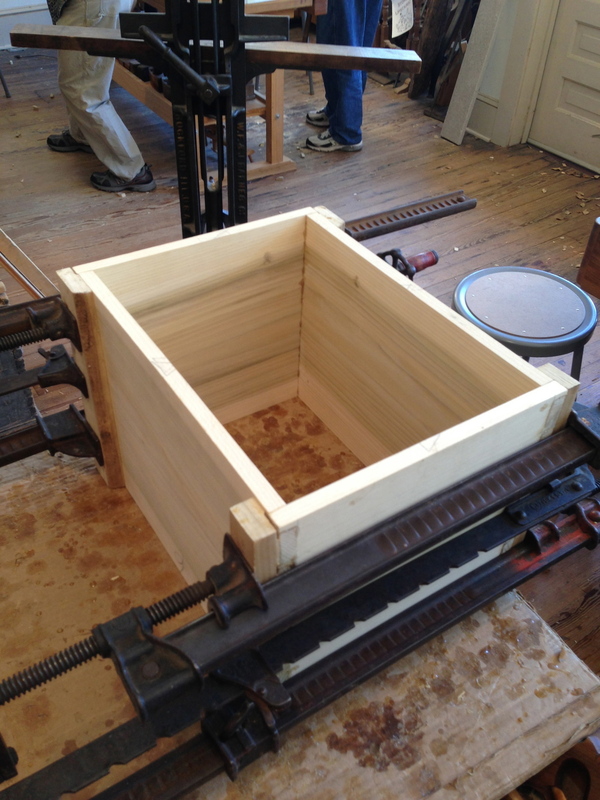 The project we were working on was a traditional joiner's benchtop tool chest, designed by Bill. 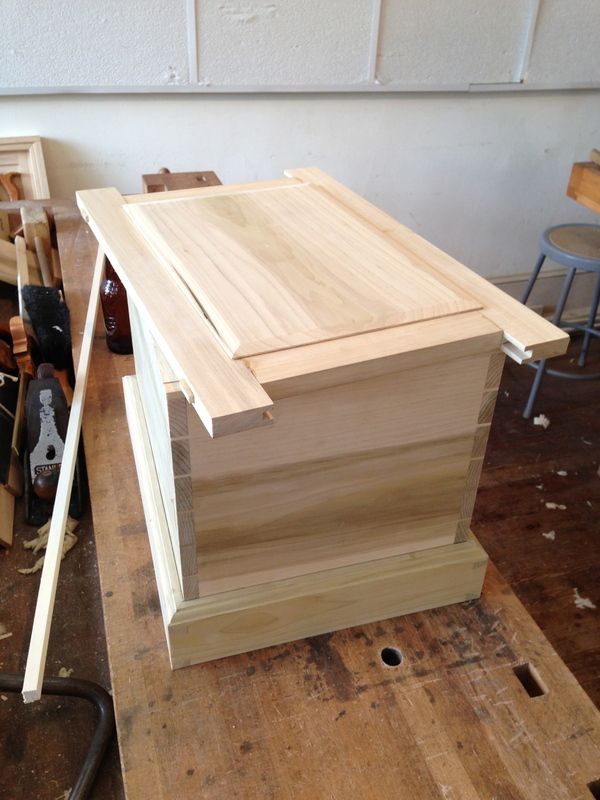 The process of building the box took us through layout and straightening of stock (but not flattening), through dovetails, mitered dovetail corners, and frame and panel with mortise and tenon joints. 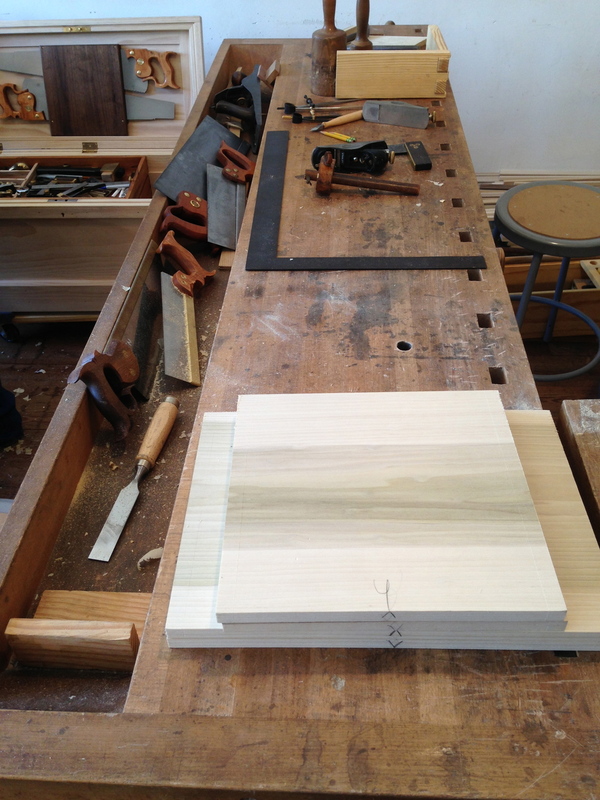 We worked with simple poplar, as the project is intended to get a coat of paint at the end. 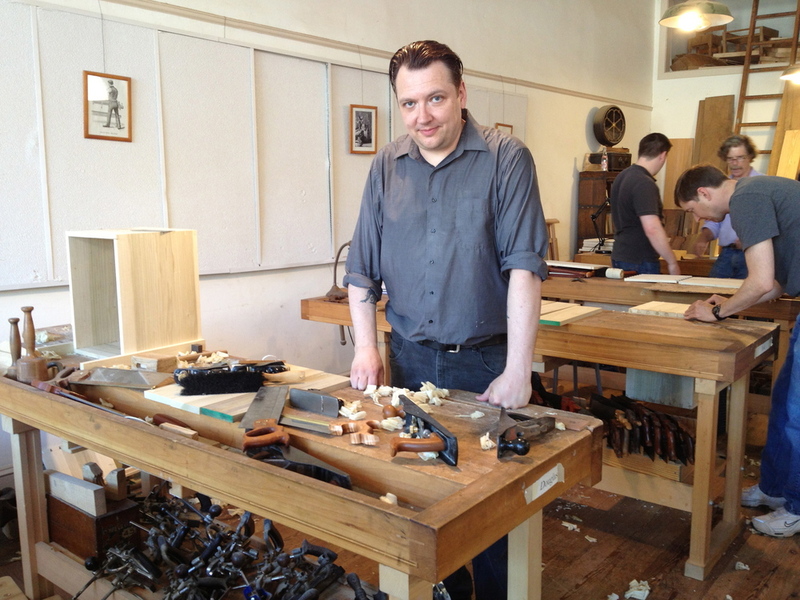 Another great thing about the class was tools, tools, tools. The school provided everything we could ever want, all in good shape and sharp. 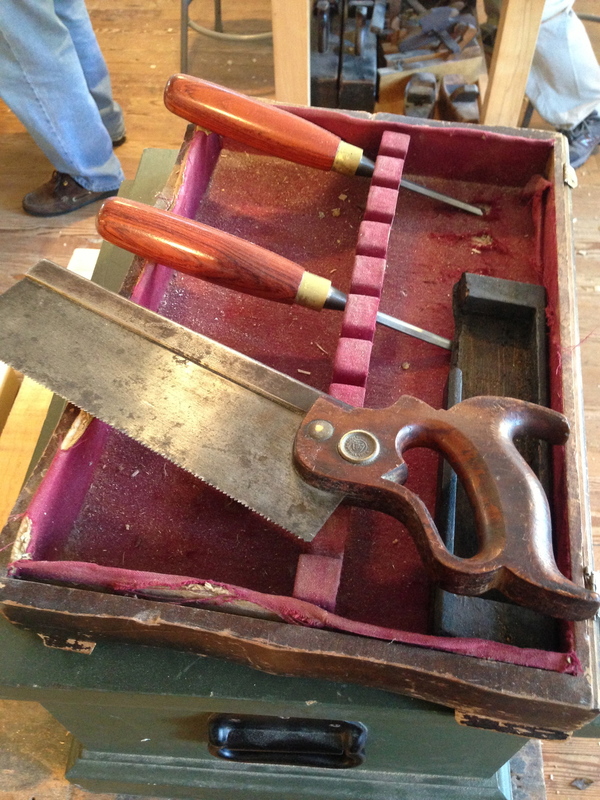 We were encouraged to bring our own tools if we desired, and I brought my tote with quite a few. 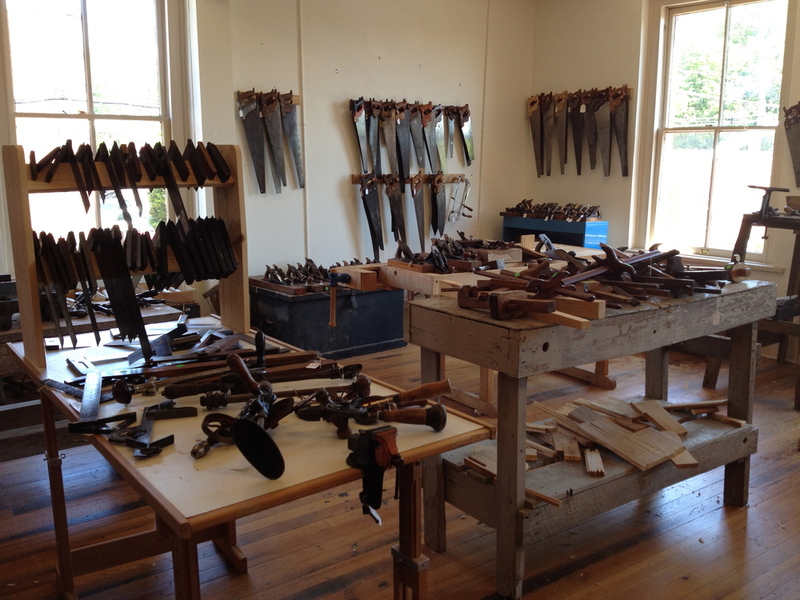 In addition, Ed's toolstore, which is almost like a hand tool museum with pricetags, was just upstairs. Ed was more than generous, letting us take anything we liked down to the school to use during the class, to try them out. It was tool heaven. If that wasn't enough, my bench neighbor Ted brought an awesome full sized tool chest, stocked with all sorts of Lie-Nielson tool goodies, and was not only glad to share, but kept "tempting" me by leaning over with a "try this...", and I gladly accepted each offer! 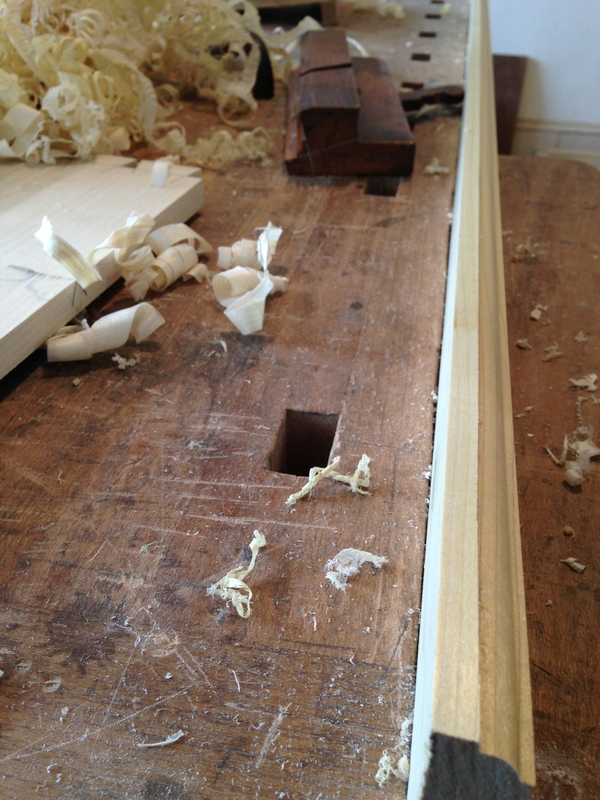 The class took us through finishing the top. 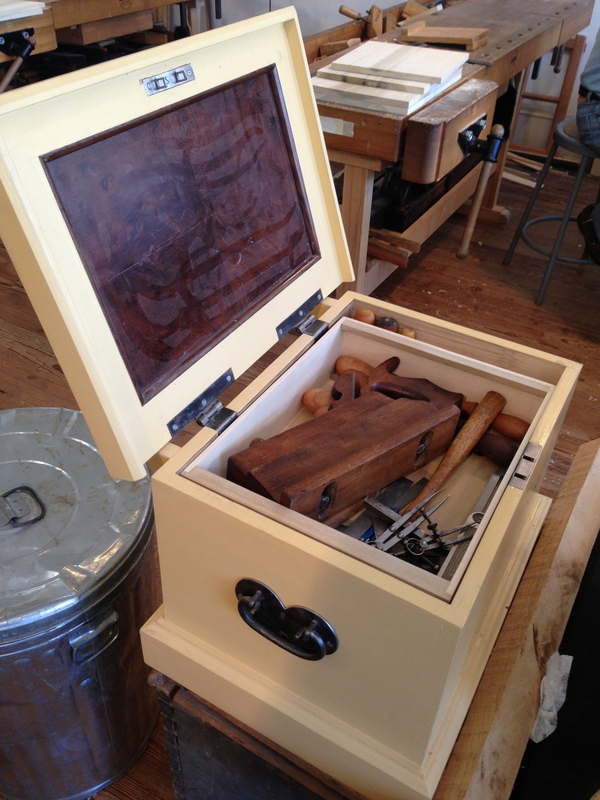 Attaching the hardware, painting, and fitting tool holders on the inside were left for us to do at our own shops. I'll be sure to post mine when it's completed.